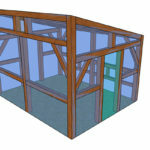 How much timber frame design and construction experience do you have? I get this question many times from both clients and potential clients, especially since they see our company as a very small operation. Perhaps after visiting larger timber frame companies with numerous employees, including designers and possibly engineers, our company may seem like it is not “professional” or experienced as these competitors in their eyes. I would like to refute this notion, especially with my past construction and timber frame experience, that I routinely relate to clients when they visit our shop. These are the truly brave clients that wish to explore more than the norm and what a simple website comparison between timber frame companies can achieve. 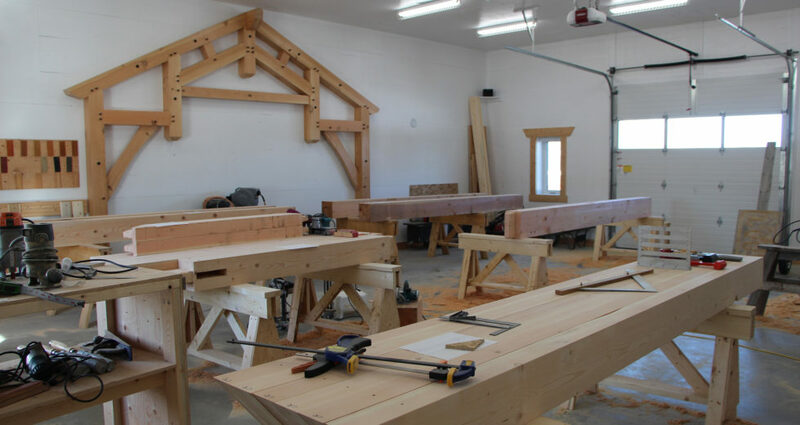 I apprenticed as a carpenter in a timber frame shop – where I was awarded the honour of top Carpenter Apprentice for Year 2 at NAIT (Northern Alberta Institute of Technology) – for 4 years, all the while learning the various aspects of shop and site life intricate to timber framing. I learned from this experience not only what worked, but what did not work – in both the physical construction of the frame the design of the living/working space and how it interacts with the frame. I left after 4 years to learn new aspects of carpentry with a yearning to return to timber framing one day. I pursued both residential and commercial construction activities until I finally ended up in a leadership role of some very substantial projects – the most notable being an Assistant Superintendent on the Terwilliger Recreation Center for 3 years. This was a $90 million project, where I was thoroughly engaged in leading self-performed work crews, coordinating sub-trades (up to 150 tradespeople at a time), maintaining schedules, meeting with the client (City of Edmonton) and the associated professional architects and engineers. Working with these team players has allowed a deeper understanding of working with integrated, complex building systems and an even larger understanding of the importance of working with others and developing close working relationships.